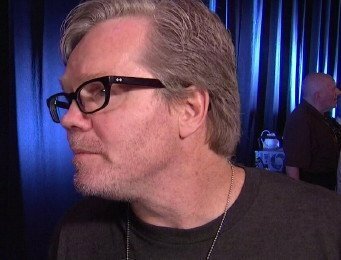 Freddie Roach, the trainer for WBO welterweight champion Manny Pacquiao, says that high powered adviser/manager Al Haymon won’t let his fighters like Danny Garcia and Floyd Mayweather Jr fight Pacquiao because he’s scared of him. Roach doesn’t buy the excuses about the fighters and Haymon not liking Bob Arum of Top Rank. Roach thinks Haymon is basically afraid of the 35-year-old Pacquiao. You can tell when Roach is starting to get frustrated when he starts coming up with things like this. I doubt seriously that Haymon is afraid of his fighters losing to Pacquiao. He’s got to know from watching Pacquiao’s recent fights that he’s lost a few steps and is vulnerable against fighters that use movement. Pacquiao looked good against the plodding Brandon Rios and Tim Bradley, but he didn’t have to deal with any movement in those fights. Bradley chose to slug with Pacquiao instead of boxing him. “Al Haymon, I met him twice, he’s a very nice guy but I don’t think he’s good for boxing,” Roach said. Haymon would let Danny Garcia fight Pacquiao if he felt that was the best fight for him to take, but he’s obviously going to take his time and make the move when he feels the time is right. With the way Arum quickly matches Pacquiao up much of the time with his Top Rank fighters, it’s not surprising that he winds up with just fights against Arum’s fighters instead of other guys. There are a lot of big fights for Garcia at 147, starting with Floyd Mayweather Jr. If anyone is going to fight Garcia, it would likely be Mayweather before Pacquiao. Haymon advises both guys, so it’s a no-brainer that he would let Mayweather get the first shot at Garcia before someone like Pacquiao. Roach should know that. There’s a line that Pacquiao needs to get in for a fight against the unbeaten Danny Garcia and you would have to think Mayweather is at the head of that line.